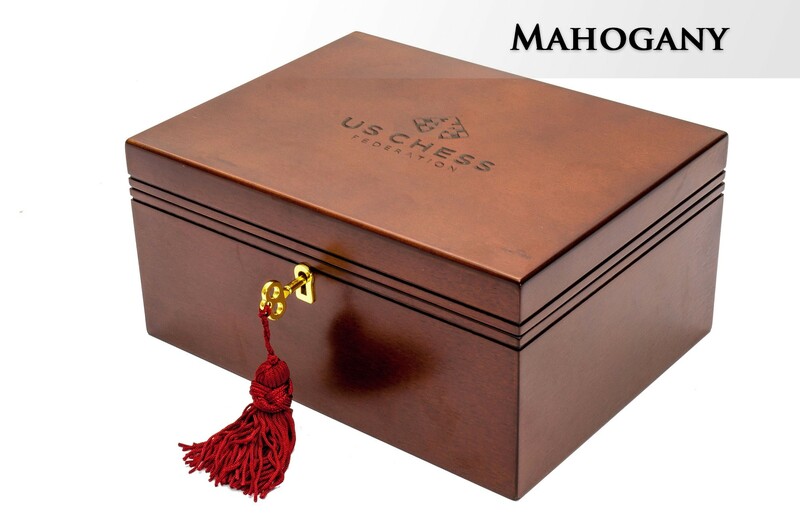 The Premium Chess Box has been designed by the experts at The House of Staunton to perfectly hold your favorite chessmen, up to a 4.4" king height with additional queens. 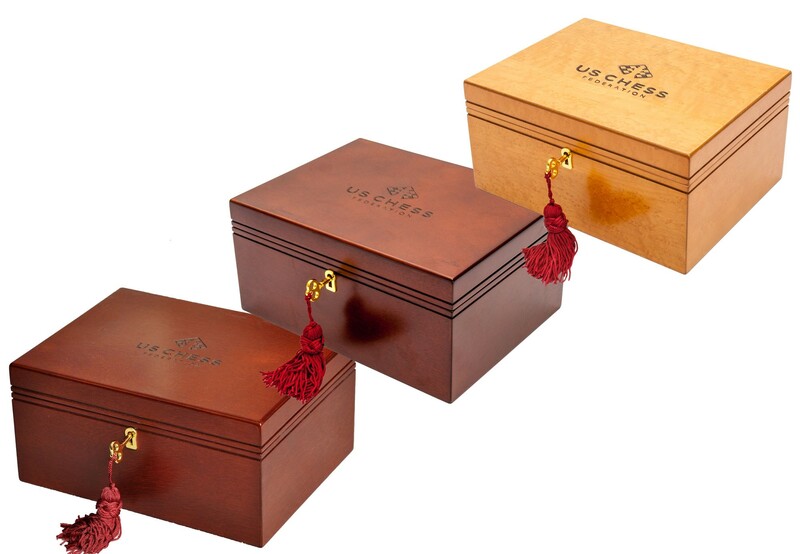 It features brass quadrant hinges, green billiard cloth lining, and a lock and key with tassel. 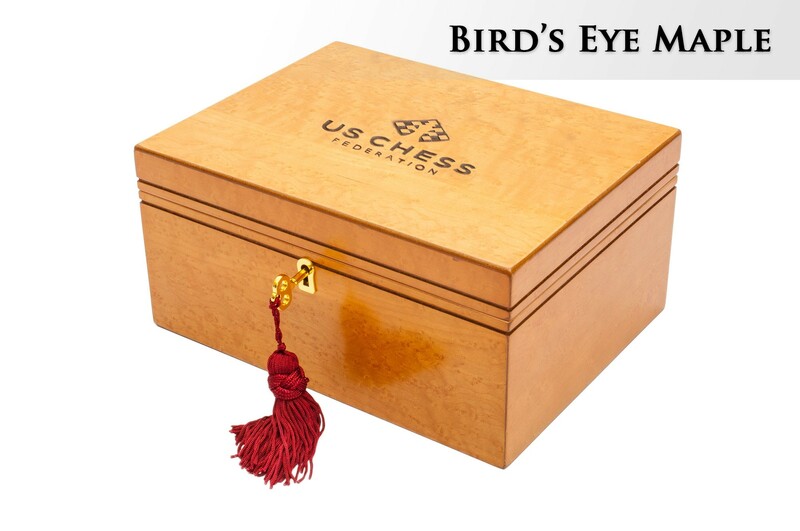 The US Chess Federation Logo has been laser engraved in the lid. 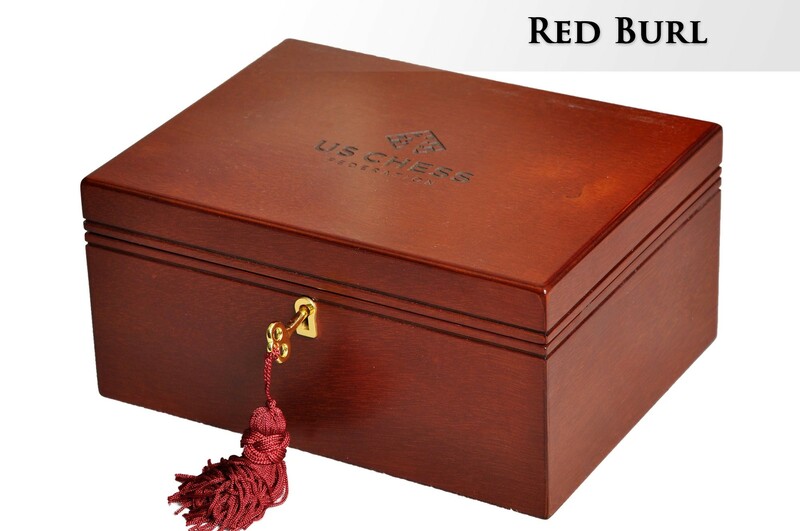 This item can also be personalized for gift giving.